In India, 95% of all consumer transactions in terms of volume and 65% in terms of value take place in cash. This is a major contrast to advanced economies where 40-50% in volume and 10-20% in value take place in cash. As a result, India is now trying to jump start its cash based economy into the 21st century. This is a major task for a country where a large chunk of the population has never seen or been to a bank for the purpose of digital transactions. The way the Reserve Bank of India is planning to battle this is through a system called, Unified Payment Interface (UPI). This system will be generated to provide a seamless and safe method of making and accepting payments. 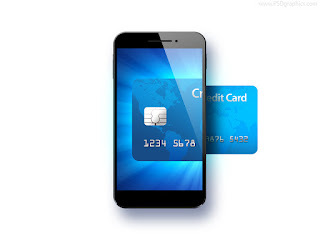 At the moment, all transactions that take place either require credit/debit cards or net banking. UPI will provide all consumers with designated IDs (perhaps an email id). When any payment needs to be made, you must only share your unique ID and through your mobile, verify all payments right away. This will be done without any requirement of OTPs, IFSC codes and bank account numbers. All IDs that are generated will be done using India’s biometrics enables National ID system: Aadhar. As of now, more than 1 Billion Indians are registered on Aadhar. This service will allow you to use the services of any bank, even if you are not a member. At the moment, some banks have already come on board including the likes of HDFC, Citi, ICICI and Bank of India although integration of the technology with their systems is yet to be completed. Since this service will run on Immediate Payment Service (IMPS), it will be available real-time and 24X7. Financial inclusion is perhaps the most important benefit of this system. The number of mobile users in India are very high, paving the way for digital transactions to reach almost all of the population. This system will bring banking to the unbanked. A hassle free and secure system will replace current payment processes which involves multi-level interventions. This will be a truly mobile based payment platform as all platforms at the moment are either card based or account based. This is also big news for mobile wallets. Mobile wallets have created a huge market for themselves with a USP of convenience. By providing payment to take place with ease, they have attracted millions of users. With the introduction of UPI, various apps will no longer be required to make payments. The biggest drawback of mobile wallets is that you still require a debit/credit card or net banking to add funds to the wallet with limits on how much money can be stored or transacted per month. While, UPI will make it easier to transfer money into your wallet, it will also be easier to transfer money to the seller directly. Will we really need wallets then? The spokespersons for various leading mobile wallets in the country have said this will not affect their market. To quote one such spokesperson, “the convenience, security, and speed that we offer to users keeps bringing them back to the platform. With the Unified Payments Interface in place, our expectation is that we would unlock a new channel for growth since the universe and reach would enlarge”. These firms do not want funds to be kept in their wallets, instead they want to be used as processors thanks to the security they can provide. The effects of UPI will only be seen once it is implemented. Starting next week, the banks which have agreed to the system will start operating the platform. This system will bring in a new era of financial technology into India and we can only hope to move forward from there.